Marinated in BBQ sauce and garnished with fresh parsley, this comfort-food recipe is a crowd-pleaser! Plus, this brisket only takes 25 minutes to prep! 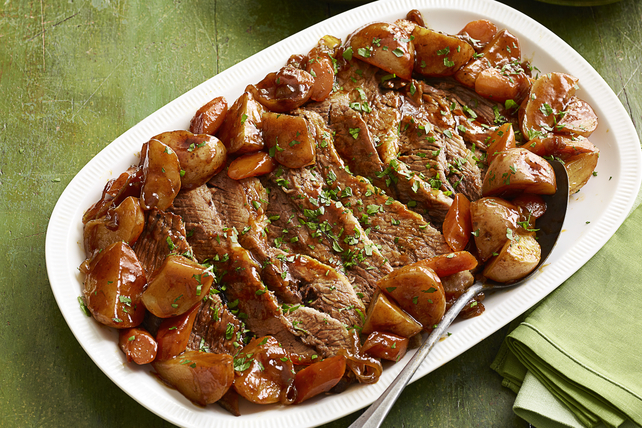 Place meat, fat side up in roasting pan sprayed with cooking spray; top with onions and barbecue sauce. Cover.